The Himalayan feels a world apart from 21st-century pressures. 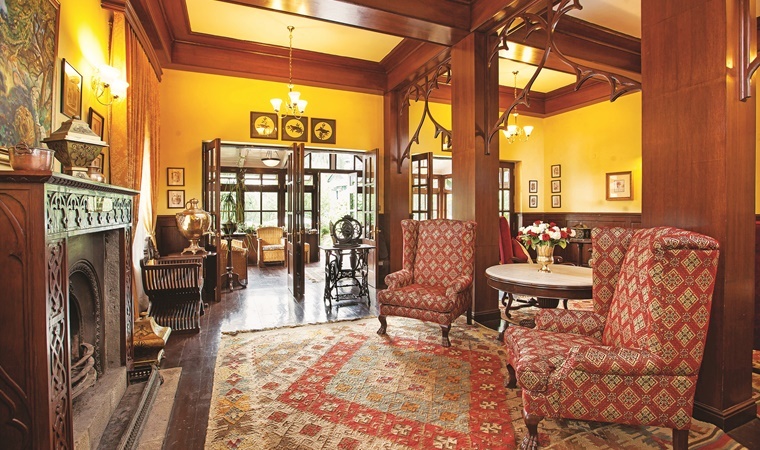 With its Victorian Gothic revival style architecture, rooms with spectacular view of the mountains and the valley at the same time, multiple spaces within the property to explore , it would be unfair to call it a ‘hotel’. Driving through the narrow, winding roads of Manali could make any road warrior question their navigation skills. But if you brave it long enough to reach The Himalayan, you'd thank the same roads for keeping this gem of a place hidden, and unspoilt, by the busy and frenetic vibes of this tourist magnet. The majestic view of The Himalayan's overpowering facade is, to say the least, out of this world even in an otherwise beautiful place like Manali. The Himalayan, can easily be the best place to stay in Manali. The Himalayan feels a world apart from 21st-century pressures. 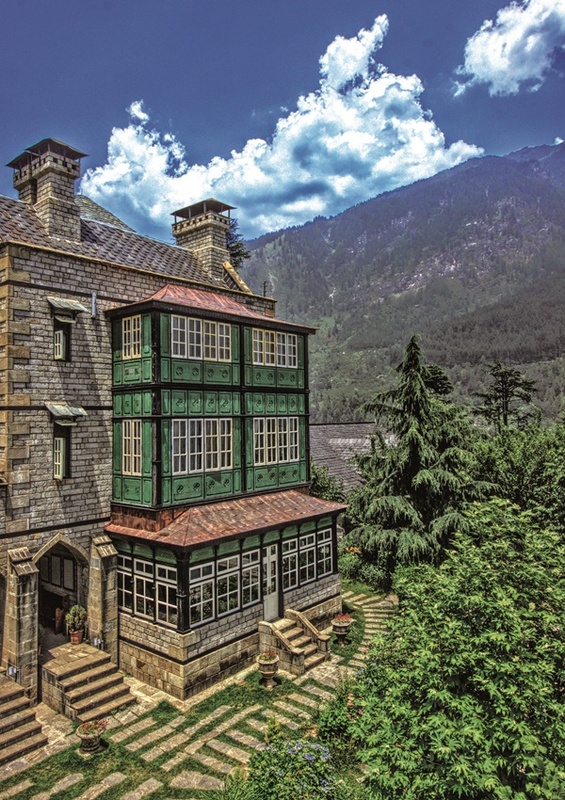 With its Victorian Gothic revival style architecture, rooms with spectacular view of the mountains and the valley at the same time, multiple spaces within the property to explore (including the unique crow’s nest), it would be unfair to call it a ‘hotel’. Most people would simply sink in the castle-like property with options between rooms and cottages, the al fresco swimming pool, and terraced apple and cherry orchards within the property. But should you wish to explore further afield, a 15-minute walk along the Cedar forests will take you to the ancient Hidimba temple. Old Manali, that truly captures the relaxed vibe of the town, with multiple eat-out options (some with live music bands) is only 5-minute drive from the hotel. The Himalayan, can easily be the best place to stay in Manali. * By air: A short 45 minute flight from Delhi to Kullu's Bhuntar airport (50km). By rail: Chandigarh is the most convenient railhead available. The other closer railheads available are at Jogindernagar (175 km). By road: 570km. from Delhi (12hours). The drive is 310km from Chandigarh & 265km from Shimla.